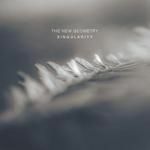 Latest single by Portuguese postrock project The New Geometry. 7 minutes of cinematic sounds of mellow guitars and cosmic buildups. Artwork by Krom Oner.